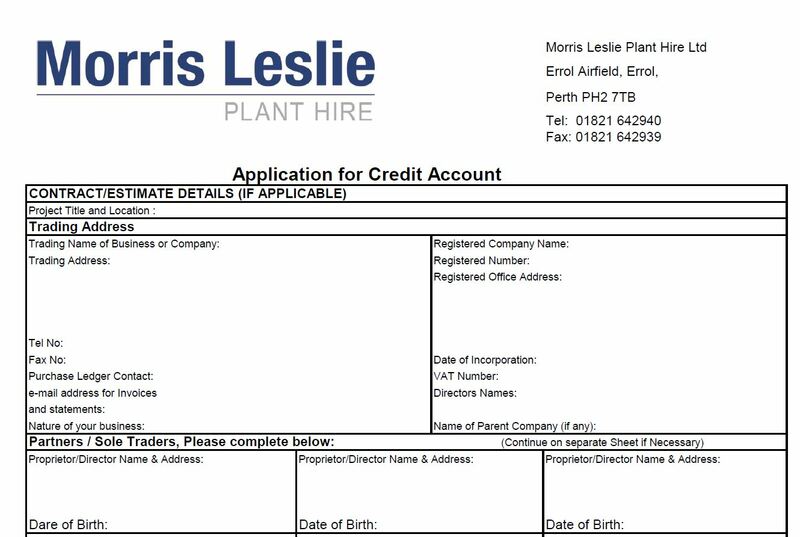 Opening an account with Morris Leslie Plant Hire couldn’t be easier. Download and complete our Credit Application form today and start working with a plant hire company with modern equipment and a great support service. Once you have filled in all required fields and signed the acceptance of CPA Terms and Conditions, please scan and upload the completed application form, copy of letterhead and a copy of your insurance document. If you’re a sole-trader or non-limited company a copy of your driving license is also required. Please fill in all required fields and scan and upload the completed application form, copy of letterhead and a copy of your insurance document. If you’re a sole-trader or non-limited company a copy of your driving license is also required.